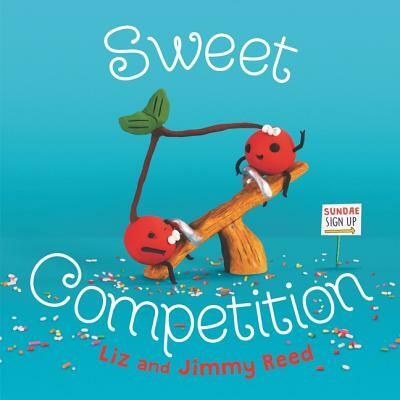 Liz and Jimmy Reed, the creators of the “Cuddles and Rage” webcomic, have whipped up a truly delectable picture book debut featuring the antics of competitive twin cherries who will do anything to outsweet…er, outsmart one another! Liz and Jimmy Reed are the husband-and-wife team behind Cuddles and Rage. They started drawing it together in 2010 and decided to turn their doodles into a webcomic featuring dioramas of anthropomorphic food. The webcomic appears on the popular site HelloGiggles and has been featured by the Washington Post. Their work can regularly be seen at top pop-culture gallery venues across the nation, including Gallery 1988 and Hero Complex Gallery. They live and work in the DC area, where they frequently share their love of comics through conventions and workshops at local schools. To see more of their sweet work, visit them online at www.cuddlesandrage.com. “In bright, amiable photos of polymer clay sculptures, the Reeds’ adorable anthropomorphic foods and pun-filled narrative combine into a clever story of friendship and cooperation. A great pick for a sharing-themed storytime.